She is sure to capture your heart with her dark rooted hair swept in an updo, with curly tendrils that frame her lovely face. She is dressed in a black skirt of petals in shades of green, beige, brown and burgundy. Brown butterfly wings that are dotted with green rhinestones, and green sparkly shoes complete her outfit. 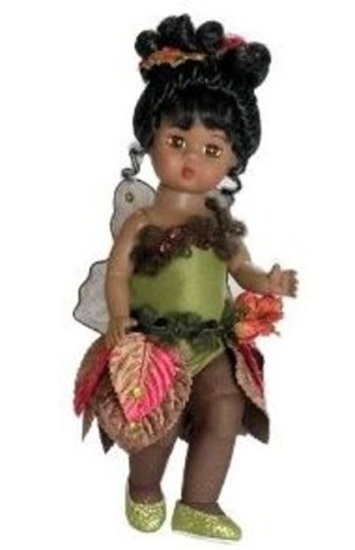 Fairy of Earth is a 8 inch fully articulated Wendy doll with brown sleep eyes. She is perfect for ages 14 and up.